Ready to start studying for GRE Quant, but don’t know where to begin? 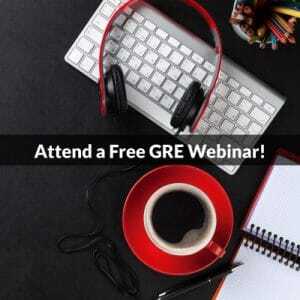 As we’ve discussed in our GRE prep classes an in our Webinars, the GRE is not a “Math” test per se. 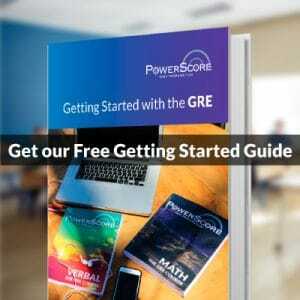 Knowledge of core math principles and how and where to apply them is a crucial element of success on the GRE, but this knowledge is by no means sufficient to guarantee a great score. Instead, to take Quant scores to the next level, it is crucial to practice and implement effective problem-solving, reasoning skills. One of the foundations of success on GRE Quant is to learn what these tools are and perfect them during your preparation. In this post we will distill practice for Quant problems down to three key principles. A core principle of preparing for the GRE is to value quality over quantity. Unfortunately, it’s possible to spend a lot of time spinning your wheels on GRE prep with less than great results. You can’t just do lost of problems; from your practice you must derive any useful principles and observations about how the problems work and what your strengths and weaknesses are. To create personal strategies for success at the GRE, you must take a diagnostic approach to preparation. You should attempt problems multiple times, even problems (perhaps especially problems) that you might already understand. The following are three possible approaches to GRE Quant problems. While GRE problems often are tough to solve with standard arithmetic or algebraic solutions, such solutions are possible for practically every Quant problem. For instance, in a system of equations with two variables and two equations, it is possible to arrive at a solution using principles like substitution. Are such approaches advisable? Usually not! There usually is an easier way, but part of your work should be to understand the conventional, core math concepts illustrated on problems. Much of structured test-preparation such as classes and self-study is directed towards learning how to escape the confines of these conventional approaches and implement faster and (when done correctly) more reliable and accurate approaches to Quant questions. For instance, in our PowerScore methodology, you learn to Analyze the Answer Choices, Supply Numbers, Translate, and more. These are essential tools for success on Quantitative Reasoning. Even if such approaches put you outside your comfort zones, it is essential to practice and implement these approaches whenever possible. These are the principles you’re probably least familiar with, so you have to practice them! Since every question within each Quantitative section is weighted equally and there is no penalty for guessing, it is essential that you answer every question, even if you have to make a blind guess. However, it’s possible at a minimum to increase likelihood of guessing correctly or even occasionally choosing the correct answer confidently using no math whatsoever. In the “Educated Guess” approach we’re now way outside both conventional math and our comfort zones! In fact, you may feel resistant to “letting go” of math entirely and simply reasoning through problems, eliminating answers that are likely wrong. In a well-rounded approach to test preparation, however, such informed guessing through analysis is an essential tool, effective both when short on time and on questions for which we may lack the knowledge necessary to solve the problem directly. By practicing these three approaches whenever possible, it is possible to build a “toolbox” of approaches to Quant problems. A core principle of success on Quant is to keep moving. Be a freight train barreling down the tracks, crushing through question after question. When facing a wall, grab a different approach and continue. Still not achieving the answer? Make an educated guess and move on. No one question is the Custer’s Last Stand of the GRE. Confidence with multiple approaches to Quant problems is possible if and only if you practice such approaches with regularity and throughout the course of their GRE preparation, but it’s essential to remember that GRE Quant problems are almost always less than what meets the eye. ETS constructs Quant questions to appear impenetrable, but the math itself is often not as difficult as what you expect. Please join us in our GRE forum to ask questions and seek advice about your preparation, and check out our GRE prep options to take your preparation to the next level!